Eastern span of the San Francisco–Oakland Bay Bridge. The old and the new bridge, as seen at night from Yerba Buena Island to Oakland. English : Eastern span of the San Francisco–Oakland Bay Bridge. The old and the new bridge, as seen at night from Yerba Buena Island to Oakland. English : HDR Timelapse of a sunset, shot at the Lookout Point in Algonquin National Park, Ontario, Canada. Trifolium arvense in Keila, Estonia. English : Trifolium arvense in Keila, Estonia. A swing high above Saturn by NASA's Cassini spacecraft revealed this stately view of the golden-hued planet and its main rings. The view is in natural color, as human eyes would have seen it. This mosaic was made from 36 images in three color filters obtained by Cassini's imaging science subsystem on Oct. 10, 2013. English : A swing high above Saturn by NASA's Cassini spacecraft revealed this stately view of the golden-hued planet and its main rings. The view is in natural color, as human eyes would have seen it. This mosaic was made from 36 images in three color filters obtained by Cassini's imaging science subsystem on Oct. 10, 2013. English : Frédéric François Chopin: Ballade No. 1 in G minor, op. 23. Stars similar to our Sun — “solar proxies” — enable scientists to look through a window in time to see the harsh conditions prevailing in the early or future Solar System, as well as in planetary systems around other stars. English : Stars similar to our Sun — “solar proxies” — enable scientists to look through a window in time to see the harsh conditions prevailing in the early or future Solar System, as well as in planetary systems around other stars. NGC 6960 or the Veil Nebula is a cloud of heated and ionized gas and dust in the constellation Cygnus. English : NGC 6960 or the Veil Nebula is a cloud of heated and ionized gas and dust in the constellation Cygnus. English : Vorticella monilata. The movements of the cilia generate water currents. Included small particles and organisms contribute to the nutrition of the ciliates. Fountains Abbey ruins seen from West, looking East and South. This abbey in North Yorkshire, England, is a ruined Cistercian monastery, founded in 1132 and operating until 1539. English : Fountains Abbey ruins seen from West, looking East and South. This abbey in North Yorkshire, England, is a ruined Cistercian monastery, founded in 1132 and operating until 1539. English : 3D rotation animation of specimen MAJ 2005-11-1, holotype of the Late Jurassic turtle Plesiochelys etalloni (Pictet & Humbert, 1857). The white eggshell has been removed by dipping a normal chicken egg into vinegar for 48 hrs. English : The white eggshell has been removed by dipping a normal chicken egg into vinegar for 48 hrs. English : Frecciabianca 9781 in transit to San Paolo Solbrito, Italy. 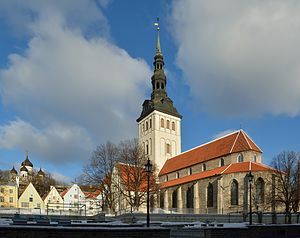 English : St. Nicholas' Church, Tallinn. English : Syria's Kurds are the country's largest ethnic minority. They are caught in the web of Syria's civil war, fighting among themselves and also battling Islamist extremists for control of a pocket of the country. Thousands of Kurds have fled Syria, mostly to Lebanon and Iraq. VOA reports from the Bekaa Valley in Lebanon, where many Syrian Kurdish refugees have taken shelter. Kiipsaare Leaning Lighthouse, Saaremaa, Estonia. English : Kiipsaare Leaning Lighthouse, Saaremaa, Estonia. English : Males of the muscid fly Phaonia subventa sucking on faeces of a fox. English : Fishermen in Acapulco, Mexico. English : Aerial video of the great circle and north east circle at Stanton Drew stone circles, Somerset, England. Once a powerful Super Typhoon, Parma crossed over the northern tip of Luzon Island, the Philippines, on October 3, 2009, as a Category 1 typhoon. The storm battered the island with damaging winds and heavy rain before moving over the South China Sea, where it stalled, spinning more or less in place for about a day and a half. English : Once a powerful Super Typhoon, Parma crossed over the northern tip of Luzon Island, the Philippines, on October 3, 2009, as a Category 1 typhoon. The storm battered the island with damaging winds and heavy rain before moving over the South China Sea, where it stalled, spinning more or less in place for about a day and a half. English : Egyptian locust (Anacridium aegyptium). English : Maternal vibrating behavior and hatching process of Parastrachia japonensis. Entrance to Kowloon Station within the Union Square, West Kowloon, Hong Kong. English : Entrance to Kowloon Station within the Union Square, West Kowloon, Hong Kong. The fortress of Città di San Marino view from the side of torre Guaita on Monte Titano (Appennino tosco-romagnolo), Central Italy. English : The fortress of Città di San Marino view from the side of torre Guaita on Monte Titano (Appennino tosco-romagnolo), Central Italy. English : Video clip for the Esperanto song Ĉu vi imagas by Johannes Müller. Publicity photo from Charlie Chaplin's 1921 movie "The Kid". English : Publicity photo from Charlie Chaplin's 1921 movie "The Kid". "Neque illic Mortuus", lower part of monument to Giovani Baptista Gisleni (1670) in the Basilica of Santa Maria del Popolo, Rome, Italy. English : "Neque illic Mortuus", lower part of monument to Giovani Baptista Gisleni (1670) in the Basilica of Santa Maria del Popolo, Rome, Italy. English : Gorzkie żale - The introductory hymn "Pobudka"
Pärispea peninsula, Lahemaa National Park, Estonia. English : Pärispea peninsula, Lahemaa National Park, Estonia. English : Reportage made at the Manufacture nationale de céramique de Sèvres in France, in the Mill workshop, April 25th, 2013 by Lionel Allorge. Three month old iberian ibex (Capra pyrenaica victoriae) in Sierra de Gredos, Spain. English : Three month old iberian ibex (Capra pyrenaica victoriae) in Sierra de Gredos, Spain. English : O Filii et Filiae - Catholic hymn celebrating Easter. On Earth Day, a view of most of North America taken from a low orbit of about 826 km altitude aboard NASA's Earth-observing research satellite, Suomi NPP. English : On Earth Day, a view of most of North America taken from a low orbit of about 826 km altitude aboard NASA's Earth-observing research satellite, Suomi NPP. English : Grasshopper beam engine seen in steam. A type suitable for lower powers and so named because its motion (fancifully) resembles that of a grasshopper's hind legs. A view to Geiranger and Geirangerfjorden from Flydalsjuvet in Stranda municipality, Møre og Romsdal, Norway in 2013 June. English : A view to Geiranger and Geirangerfjorden from Flydalsjuvet in Stranda municipality, Møre og Romsdal, Norway in 2013 June. English : Time-lapse of Drosophila melanogaster embryo developing with major stages listed. English : Platycerus caraboides is a species of stag beetle present in most of Europe, in the Near East and in North Africa. Spoil tip in Rummu, Estonia. Hillside is covered with rills and gullies due to erosion processes caused by rainfall. English : Spoil tip in Rummu, Estonia. Hillside is covered with rills and gullies due to erosion processes caused by rainfall. English : Sandhamn, Stockholm archipelago. English : Samba de fato - Patrício Teixeira e Trio T.B.T. recorded in 1932. Steppe Eagle (Aquila nipalensis orientalis) in the falconry Falkenhof Feldberg, Germany. English : Steppe Eagle (Aquila nipalensis orientalis) in the falconry Falkenhof Feldberg, Germany. English : The flight AB (Air Berlin) No. 6209 from Berlin to Munich with a Boeing B737-800. Landing approach and landing of the aircraft at the Munich Airport. Sunrise at Viru Bog, Estonia. English : Sunrise at Viru Bog, Estonia. English : With the pairs still in tandem, the females of Common Winter Damselflies (Sympecma fusca) oviposit in floating vegetation. The ceiling of the Sheikh-Lotf-Allah mosque in Isfahan, Iran. 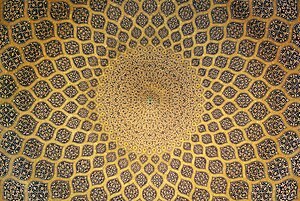 English : The ceiling of the Sheikh-Lotf-Allah mosque in Isfahan, Iran. English : A Railway Collision - British silent film directed by W.R. Booth, produced by Robert W. Paul and released in March 1900.